The gold price broke through key technical levels on Friday, jumping more to $20 an ounce to a three-and-a-half month high. In morning trade on the Comex division of the New York Mercantile Exchange, gold futures for April delivery – the most active contract – hit $1,321.50 an ounce, up $21.40 from yesterday's close and the highest level since end October last year. Friday's strong gains came after the metal breached $1,304 an ounce – the 200-day moving average of the gold price and a key technical indicator of positive momentum. Gold has not traded above this level in over a year. Safe haven buying on turmoil in emerging markets and economic weakness in the US, and continued strong physical demand from Asia have seen the price of gold rise 9.8% in 2014. Last year the world's physical gold trusts or gold-backed ETFs experienced net redemptions of more than 800 tonnes collectively and suffered depreciation of close to $80 billion. But the gold holdings of SPDR Gold Shares (NYSEARCA: GLD) – the world’s largest gold ETF by a wide margin – on Thursday shot up the most since October 2012. Investors bought a net 7.5 tonnes on Thursday bringing holdings back above 800 tonnes for the first time this year. 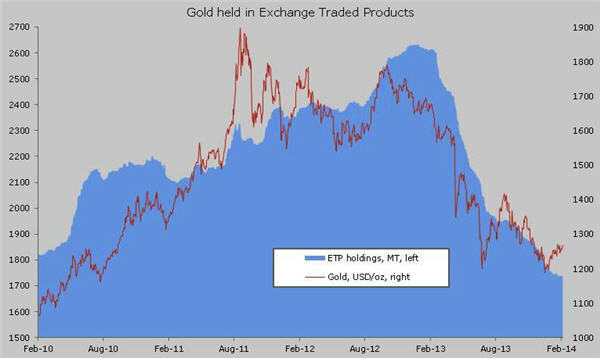 The last time ETF investors were this bullish was on October 4, 2012 when GLD recorded 9 tonnes of inflows. 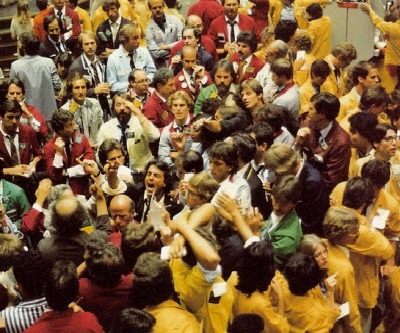 At the time gold was trading just under $1,800 an ounce. The strong inflows are in stark contrast to the one-way bet gold became among ETF investors: GLD recorded only 17 days of inflows all of last year and almost 540 tonnes left the fund. If Friday's data shows more investors are buying into physical gold funds, it could provide further impetus to gold's run this year.